Are you looking to make modifications to your home so your aging parents can move in? Would you benefit from a computer that accommodates for visual limitations? Do you need an adapted van to transport your child with special needs? If you have hesitated to make these changes because of cost, Easter Seals can help! 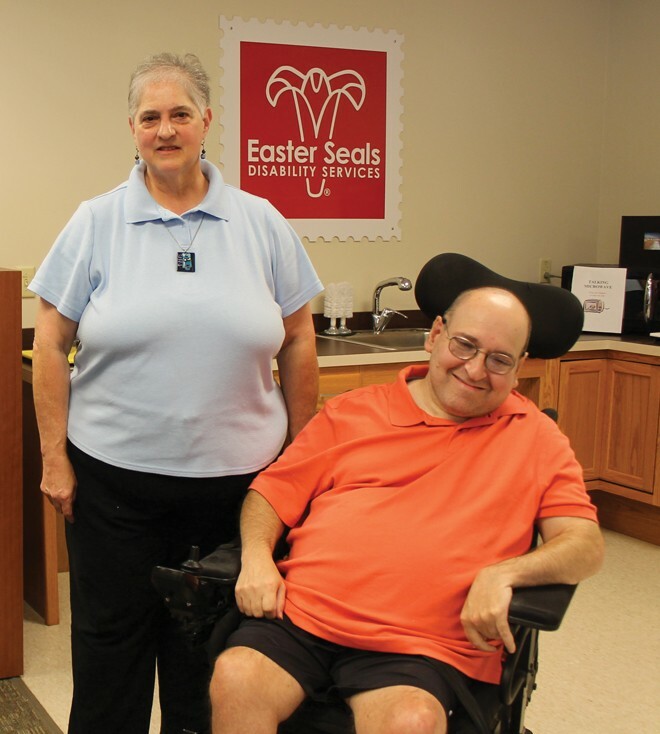 As part of their Community Outreach Program, Easter Seals is now assisting Delawareans in securing lower-interest loans to purchase assistive technology or make modifications for accessibility. A lower-interest loan through Easter Seals FYI: Finance Your Independence Assistive Technology Loan program was a huge help to Carol and her brother Steve. Before the home modifications, Steve was limited to certain areas of their house. With the help of low-interest financing, Carol was able to renovate a previously inaccessible area to make a room built for someone using a wheelchair. It includes lowered light switches and window frames, accessible outlets, floors with no carpeting and a level entry from the house allowing easy access without assistance. The loan program is made possible through lending partners Del-One Federal Credit Union and DEXSTA Federal Credit Union. Along with home modifications, loans can be used for work equipment and more. Even lower cost items, such as hearing aids, can be funded through this program. The FYI program is part of Easter Seals Community Outreach Program (COP). Under this program Easter Seals also provides grants to support family caregivers providing care to a person of any age or disability. Easter Seals’ Case Manager is on site every day to provide information, resources and support to family caregivers. One of the more unique aspects about Easter Seals Resource Center is the focus on Assistive Technology, or “tools for independence”. There are hundreds of pieces of assistive technology on display, like pill reminders and large print calculators, which promote independence and quality of life. This gives individuals the opportunity to try out products prior to purchasing. A virtual tour of the Resource and Technology Demonstration Center can be found at: www.de.easterseals.com/resources. For more information about any of the services provided through the Community Outreach Program, please contact Joyce Medkeff at 302-221-2076 or resources@esdel.org. Visit our site: www.de.easterseals.com.